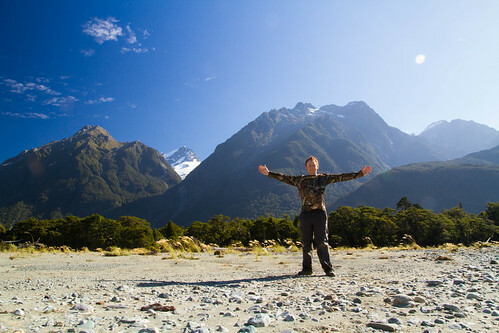 If there’s one place I have a soft spot for, more than any other in New Zealand, it’s got to be Fiordland. 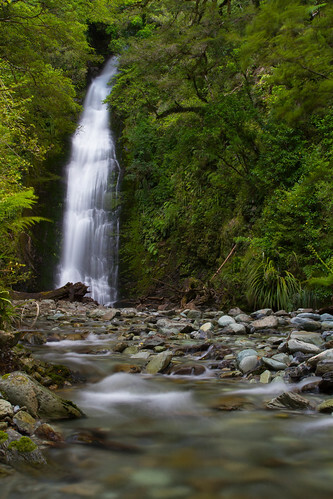 The Fiordland National Park area in the South West corner of the South Island is one of those places that just intrigues you more and more the further you explore it. It rains a lot, 6 or 7m annually or thereabouts, the sandflies are absolutely vicious, the bush is incredibly dense and there are huge mountains everywhere to make the going pretty hard. Sounds great, eh? Aside from these slight downsides, it has absolutely pristine water and a huge number of rivers where many hungry trout live. A number of these waterways are some of the last remaining without didymo – lets keep them that way! Always check, clean and dry. For my first foray I planned a 4 day trip into one river valley, planning a day walk in/out with 2 days fishing in the middle. The walk was 30km each way and boy was my body not ready for that! Heavy pack and that distance was a bit of a shock after not doing any real backpacking trips for a little while. Even with my complaining it’s hard to feel too down when you have scenery like this for company. I decided on day two that the walk would have me arrive at the river mouth near on in the afternoon going into dusk, an ideal time I thought with my imagination thinking of big browns coming out to feed. I had this image quickly stripped from me though when the first sign of life I saw when exploring the mouth was a big seal that looked rather content and well fed! It was a long way from the sea and I didn’t see any trout around that section, seems they either go into hiding or the seals are having a ball and clearing up. I did a prompt about turn and decided to head back up the river and have a fish on the way back. I picked up a couple of small fish between 2 and 3lbs just blind fishing in the faster water at the edges. That was about all I could do given the difficulty of access. In a lot of places the river was very deep and fast flowing, not to mention being absolutely huge in terms of width. On the walk out I met another Scottish guy, Ben, who was going in to fish one of the tributaries. By complete coincidence I met him in the pub last night but he says the river wasn’t all that great, a long walk for not impressive enough fishing. 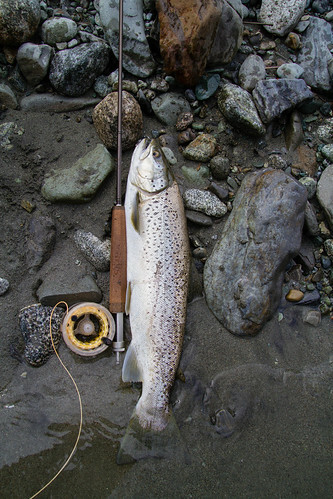 I camped that night and fished the river in the morning where I finally found some good sized fish hanging around the eye of a gorgeous looking pool. I managed a few fish from this pool on big dries but unfortunately lost the best one, see below for a little teaser of what’s to come with the full edit. Excuse the choice language and play in HD of course! The fish in this river were magnificent, hard fighting and brilliant silver. They looked like our sea trout back home, awesome fish. Really gutted I didn’t land the one in the video but hey, it doesn’t always go your way and these are certainly the ones that stick in your memory. After this brief fishing spell I decided to walk out. I was pretty tired, my feet and hips were sore and I needed a beer. I might go back in the future and check out some other areas, we’ll see. 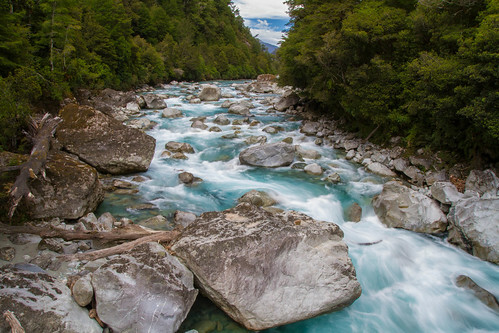 I rested up for a day and then went 5 days into a different river… that’s when the fish raging really started.